If you are still saddened by the news that BMW will not be offering the next generation 3 Series wagon in America, I’ve got some good news for you: General Motors is finally throwing some serious discounts at the Buick Regal TourX. It may be time to get your wagon fix another way. Not long ago I wrote about how Buick is fairly clueless as to how to find buyers for its Regal TourX wagon. Now that the end of the year is fast approaching and GM seems to be in a desperate race for some decent sales figures, the automaker is offering huge discounts across all of the brands, including Buick. While most of you are aware that you can score a Silverado or an Equinox at upwards of 15 percent off or more, you may not realize that the TourX wagon can be had with some pretty bonkers deals too. Those of you immediately turned off by the badge aren’t seeing the bigger picture here. This is a legit European wagon, sold overseas as the Opel Insignia Sports Tourer! 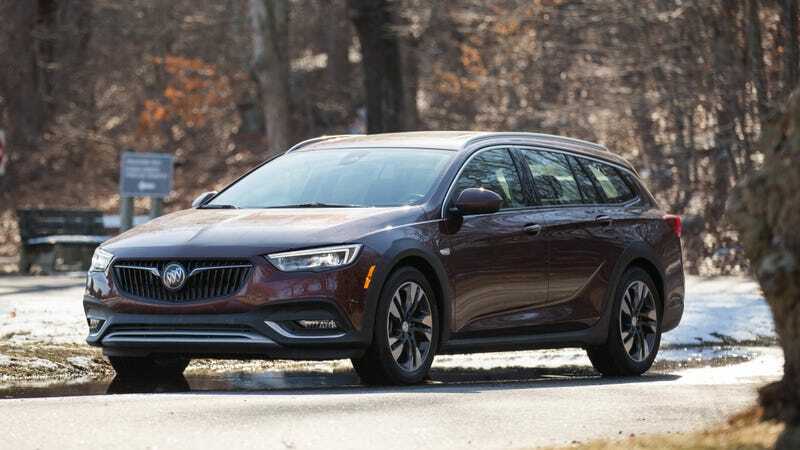 And in case you forgot, the Buick Regal TourX comes with a 2.0-liter turbo similar to what is under the hood of the BMW 330i Sport Wagon and Audi Allroad and it pumps out 250 HP and 295 lb-ft of torque. The big wagon is not a rocket ship, but it gets moving pretty well and is really darn comfortable. It also holds a massive amount of stuff behind the rear seats compared to other compact longroofs like the BMW and Audi. Naturally, you want to be a bit suspicious of prices that seem too good to be true as many of these deals will have stacked rebates that you may not qualify for. Unfortunately, GM branded dealers are a bit notorious for this kind of advertising.